Flooding is a serious issue in Melbourne's Elizabeth Street catchment. The Elizabeth Street Catchment Integrated Water Cycle Management Plan is a strategy for sustainable water management within the 308-hectare Elizabeth Street Catchment that will guide our actions for the next 15 years to 2030. The Elizabeth Street Catchment is categorised by Melbourne Water as being at Extreme Flood Risk – the highest level. Our Plan includes an approach to reduce this flood risk. It also includes ways to use alternative water sources to irrigate existing and future parks and open spaces. 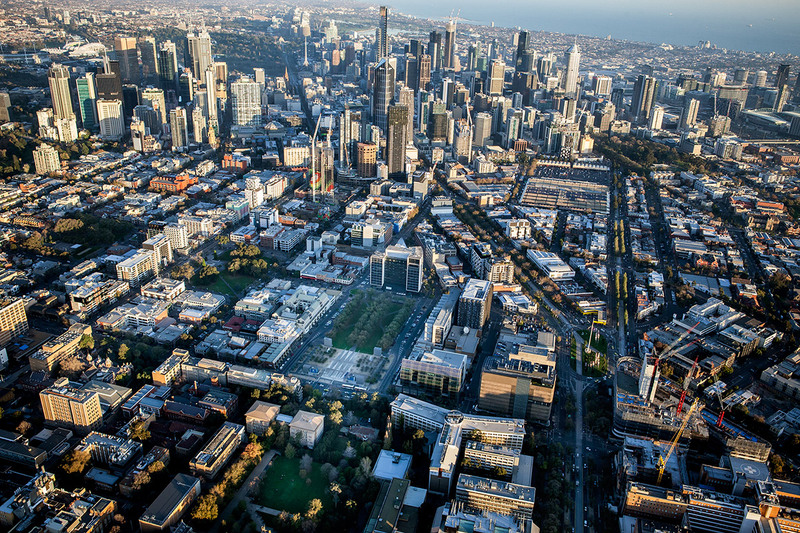 As one of the biggest water users in the municipality and as the manager of stormwater on roads, parks and open space within the city, the City of Melbourne has a leadership role to play in water cycle management. The Plan involves all the elements of the water cycle that the City of Melbourne can influence – water consumption, rainwater, stormwater, wastewater and groundwater management. To read more about the current works, go to the Carlton Squares page.